Hello! Thank you for visiting my blog today. I have six cards for sale. I have been selling a lot of my cards for the past few months, but most are not posted on my blog for sale. These six are mostly alike. They are each a bit different if you look closely. If you are interested in purchasing one or more, I will take your requests in order of email request sent. You must include: Card #--very important since they are just a bit different from each other. Also, I need your mailing address and your Paypal address so I can invoice you. In the case of non-payment or buyer changes their mind or does not pay, I will use the next email request for that card in order of emails received. Postage will be $2.50 or to-be-determined in the case of multiple cards. PAYPAL ONLY, U.S. ADDRESSES ONLY!! Thank you for considering purchasing my cards! I will update my blog as the cards are sold. Have a great day! Card # 2 $6 plus postage (includes Crumb Cake envelope) SOLD! Card # 3 $6 plus postage (includes Crumb Cake envelope) SOLD! When you need Stampin' Up! 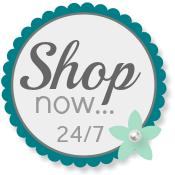 supplies, I hope you will shop in my Online Store.